10 ton overhead crane belongs to light duty overhead crane with the lifting capacity up to 10 ton. It is a highly effective lifting solution applied in a large variety of industries, such as manufacturing and mechanical industry. 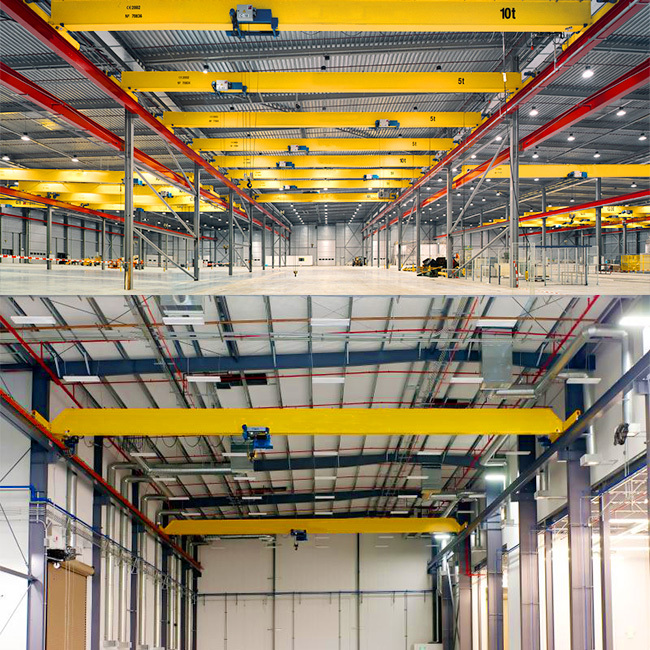 The overhead crane 10 ton is also a cost-efficient option for material handling as it fully takes advantage of the building space and covers a wide work area. The overhead crane travels under the control of an operator by way of wired pendant control, wireless remote control or cab operation. We supply 10t overhead crane with different configurations to meet customer’s requirement for multiple applications. You can choose your crane type correspondingly. Our 10 ton overhead crane for sale is available in different types on request, mainly including single girder overhead crane, double girder overhead crane, top running crane and underhung crane. The overhead crane for sale is ideal for meeting different needs of moving heavy loads and carrying out repetitive lifting operations. The crane overhead can not only improve the working efficiency, but ensure the safety of the operator. Here, we’d like to recommend several models of 10 ton overhead crane for your reference. The LD type overhead crane is a kind of universal crane with a wide range of applications. It has advantages of simple structure, light weight, small wheel pressure and low cost. Due to its single beam structure and low work class, it cannot be used frequently to lift a large quantity of heavy loads. Adopting unique design concept and advanced technology, the European type overhead crane has wide application and high work class. Compared with LD type, it has lower headroom and greater lifting height, effectively increasing the working space of the existing building. It is also suitable for material handling and components assembly process where an accurate positioning is required. As the most widely used lifting equipment, this type of over head crane is capable of carrying heavier loads and reaching a higher work class in contrast to single beam overhead crane. As a result, it is much more expensive. This double girder overhead crane is different from the QD type because it uses grab as its grabbing device to load, unload and transport bulk materials. It has advantages of high lifting speed and high working efficiency. The YZ overhead crane is a kind of foundry crane mainly used for lifting and transferring liquid steel ladle. It is widely applied in metallurgy where there is usually with terrible working environment such as high temperature, dusty, heavy and busy working environment. This overhead crane lifting equipment is specially designed to meet high requirement for both the crane components and operator safety, such as the insulation design. It mainly adopts cab operation with insulated cab room. LH double girder overhead crane is one of the most widely used cranes in many industries. It has advantages of compact structure, light weight and low cost. The crane has larger lifting capacity and higher lifting speed compared with single girder overhead crane. Besides the above overhead crane models, we supply some other types of 10t overhead crane to meet multiple needs. With so many types of overhead cranes, which one is your best option? Each type has its pros and cons, so you should consider the most practical needs for your application, and thus select the most appropriate lifting solution. 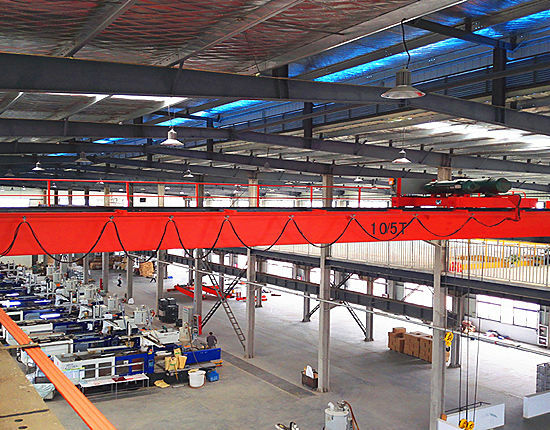 When looking for a 10t overhead crane, maybe you first consider the capability of overhead crane suppliers, especially in regard to the crane quality and service. The overhead crane price is absolutely another important consideration of a potential buyer. Want to know the 10 ton overhead crane cost, first you should take some factors into consideration, including the lifting height, the building layout to fit for the crane, the working environment of the crane to see if it requires protective devices, the operation method and some other factors to determine your configuration and specification of your crane 10 ton. After a thorough consideration, you can consult our sales manager to get a 10 ton overhead crane price. We will provide high quality overhead lifting equipment at competitive price. To operate an overhead crane is a complex job, so it requires a high standard of the crane operation. The overhead crane operator training is much significant in regard to the crane safety, which is often not highly valued. However, it is critical for the constant and efficient operation of your crane, and furthermore the productivity of your production line. Besides, overload or swaying load is also important safety concern. Another concern for the overhead crane safety is how to effectively conduct the crane maintenance. As you know, a timely and proper maintenance is essential for the safety and efficiency of your crane. Therefore, the operator must check the condition of the crane and its components before daily use, and once the critical parts such as limit switch and hook are worn or damaged, you should never operate the crane. In addition, under no circumstances shall a worker stand under the loads. The operator should also make sure the movement is smooth and stable, and any rapid movement should be avoided. Any safety concern, regardless of the importance, should be taken seriously. Want to learn more about 10 ton overhead crane, contact us online directly. We also provide other capacities of over head cranes including 20 ton, 50 ton, 100 ton overhead crane and more. 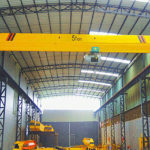 We will offer the most suitable overhead crane solutions on your request.